Insulation shells for pipes are used for insulating pipes, boilers, containers, ventilation channels and canalisation pipes in cold and warm conditions. Pipe shells may be used for the insulation and protection of pipes in the ground to protect them from crumbling and cracking during winter. Shells are made of EPS 120 material, which tolerates short-term compression tension up to 120 kPa. TORU pipe shells do not need separate hydro-insulation; they may be installed directly into the ground. 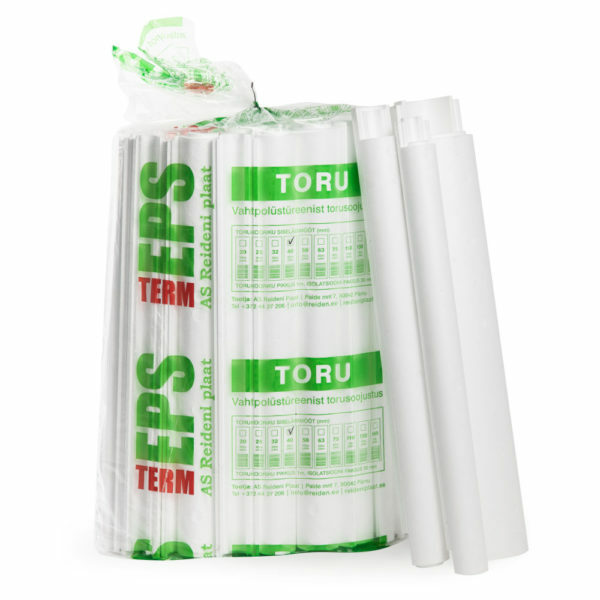 TORU products are made as mould products, which ensures good load bearing capacity and little absorbability.